ImmuneOnco Biopharma Technology (Shanghai) Co., Ltd. announced that the new generation of immunocheckpoint inhibitors (project number: IMM01) independently developed by the company has recently been accepted by the National Drug Administration (NMPA) for clinical trials (acceptance number: CXSL1800092). The successful acceptance of the application marks a significant milestone in the company's development from the early stage of research and development to the clinical stage. IMM01 injection is a new generation of immunocheckpoint inhibitors with independent intellectual property rights based on the "mAb-Trap" technology platform developed by ImmuneOnco. It targets CD47, an immunoregulatory target, by activating phagocytosis of tumor cells by macrophages and presenting phagocytosis-treated tumor antigens to T cells so as to exert its potency and large tumor immunotherapy effect. Pre-clinical data confirm that IMM01 has a significant therapeutic effect in a variety of tumor models. At the same time, because IMM01 does not bind to human red blood cells, it has obvious advantages in safety. IMM01 is expected to be launched as soon as possible in conjunction with other targeted drugs or PD-1/PD-L1 antibody drugs to expand the field of unsatisfied cancer treatment. No monoclonal antibody drug against this target has been approved in the world. More and more research data show that natural immune cells (such as macrophages, NK cells, neutrophils, etc.) play an important role in the development of tumors. Tumor cells can escape the immune surveillance of natural immune cells by overexpressing CD47, so CD47 has become one of the important targets in the field of anti-tumor immunotherapy. The acceptance of clinical trials approved by IMM01 makes IMM01 an important player in developing antibodies against CD47 targets and advancing clinical trials. 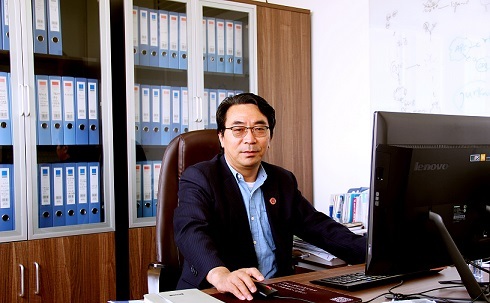 Tian Wenzhi, founder, chairman and general manager of ImmuneOnco, said: " ImmuneOnco has been committed to building a new anti-tumor drug research and development technology platform for immune regulatory targets. In addition to IMM01, several other dual-target specific protein drugs have shown good prospects for development. ImmuneOnco will continue to develop new technologies and new products, and strive to become a famous bio-pharmaceutical research and development company. It is hoped that in the near future, the first new drug belonging to our company will be born. We will continue to deepen the field of anti-tumor, accelerate the pace of research and development, develop high-quality biopharma affordable to the people, and contribute to the development of China's biopharma industry." "Here, I sincerely thank all the members of the company for their outstanding performance, is their hard work, so that the company has achieved one milestone after another."